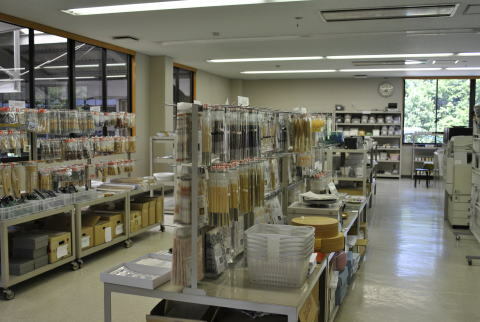 ​"Ishoken (Tajimi city pottery design and technical center) was established in October 1959, transferring operations from the Minoyaki Overglaze and Enamel Decoration Research Center. Since the first students mastering the ishoken training program graduated in March 1960, more than 800 young people have graduated and have been active as ceramists or designers." "Training is 5 days a week from Monday to Friday. The class time is from 9:00 to 12:00 and 13:00 to 16:00 ( For details, please refer to explanation of each course of "Study in Ishoken"). In addition to the curriculum of each course, we will hold special lectures by staff and external lecturers about 10 times per year. You can use facilities during long vacation such as summer holidays. In addition, we also hold fellowship events among students such as softball tournaments, and exhibitions that are also opportunities to interact with graduates." We teach basic skills and knowledge on ceramics, such as molding technology, glaze formulation, ceramics design, firing technology. In addition to full-time lecturers, external lecturers are also invited from the local pottery industry, ceramics industry throughout the country as well as from research and research institutes. Ceramic art shop with ceramics classroom. We handle a wide range of materials such as clay and glaze, props, electric powered rattles and electric kilns. Recommended for beginners, knowledgeable and friendly staff of pottery will be happy to provide helpful advice. Once a year, we hold the "Hole kiln fair". Works brought to us are burned with a so-called "hole kiln", or "climbing kiln", dug into a hill slope. If you would like to try traditional firewood burning of your creations, you are welcome to bring your work to us. 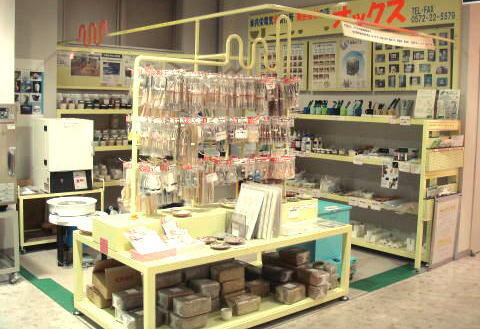 Voice of ceramics' sister shop "Ox" has a compact space with staple items necessary for ceramics. The shop is located in the "Tajimi Souzoukan". 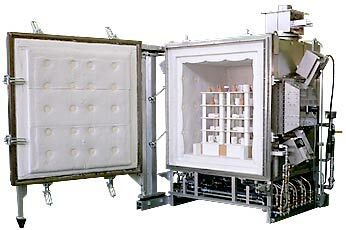 We are a furnace manufacturer based in Tajimi. 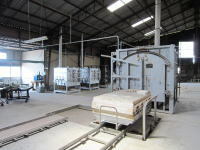 We handle a wide range of various furnaces including industrial furnaces such as electric, gas, and kerosene furnaces, as well as pottery kilns. We carefully finish each item by hand, and custom orders are welcome. We are a rental workshop in Taki town operated by ceramist metalworker Shibata Kazuyemon. We have renovated pottery made by the Western kitchen maker Kanehan and offer nine room rental workshops, galleries and multipurpose spaces to ceramic artists. There are plenty of factories in Takiro that offer rental workshops, and Shibata is looking forward to a future where "our community will become an art town like New York's Soho". 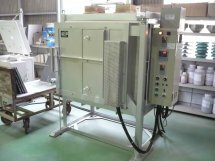 Shop operated by Kyoei Electric Furnace Manufacturing Co., Ltd., a firm headquartered in Tajimi. You may use our electric furnaces of various sizes yourself, or leave the burning to the staff.